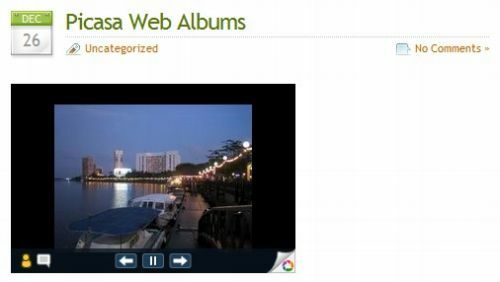 With Picasa Web Albums, you can create your photos Flash slideshow, which features built-in playback controls, size options, and the ability to display captions. And now you can embed them to your blogs! Please refer to our online documentation Embedding Picasa Web Albums for more details.